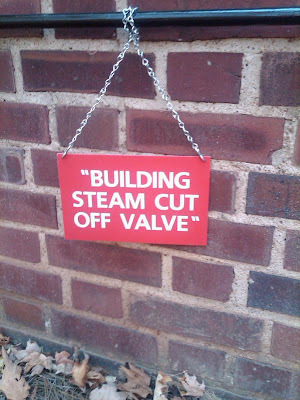 Mona spotted this at Vanderbilt University, and explains, "It amuses me not only because of the quotation marks, but because the sign is hanging on a pole with no evidence of a cut off valve." So this is obviously some kind of secret code or student prank that I am now too old to understand. The 'steam cut off valve is under construction, i.e. they're still "building" it. WV: hylooz, when you go through a reception line everyone gets a chance to say their "hylooz"
Having 'cut' and 'off' as two separate words reveals a further complexity: Allegedly, constructing vapour caused the severance of the spigot. Ah, Colin, that explains why Mona couldn't find it. 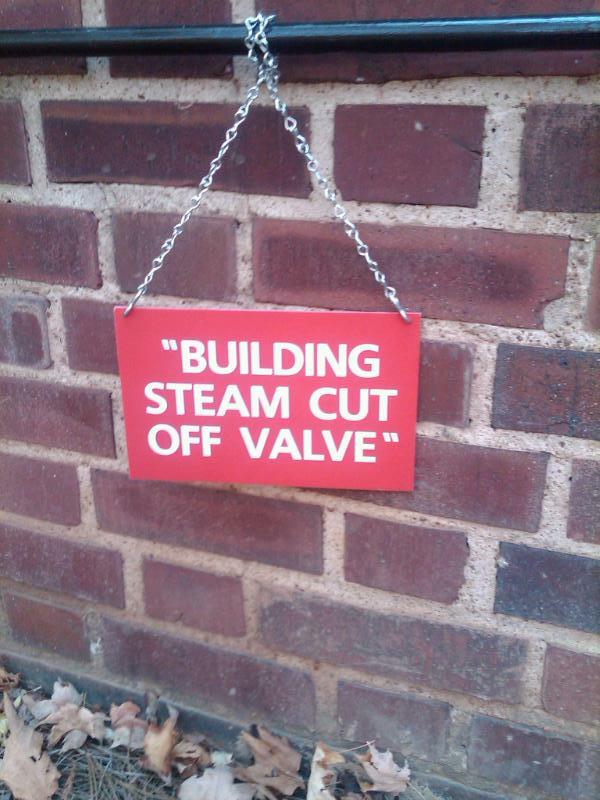 No, they're building a steam cut, whatever that is, which is off the valve.